David Cutler has written a new book about how to market yourself as a musician, and this is information that's always desperately needed by music graduates. The articles are great (and I've got the book on order, so will read it and send more info. in future posts). "Some people decide to teach college because they cannot imagine another music career for themselves. It can be argued that someone incapable of survival as a musician outside of academia should think twice before entering a field where they are responsible for training future professionals. If deciding upon this route, hopefully it is because you are passionate about teaching and have a valuable perspective to offer." "The problem is that too many of us are trying to become the best doing exactly the same thing as everyone else. Our categories are too broad, and creativity too narrow. Instead of asking "which steps must I take to outshine the competition?" try another approach: "With my unique personality, interests, talents, training, background, and skills, what could I potentially do better than anyone on the planet?" This is a very different kind of question, eliciting a very different response." I am actually reading "The Savvy Musician" now as well. So far it seems like an excellent resource! 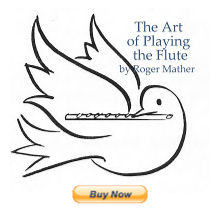 Dr. David Cutler includes crucial information for any aspiring musician. I have found the book to be extremely useful and would recommend it to all student musicians. Yes, it's an amazingly good book. GREAT to hear all this positive reinforcement! !